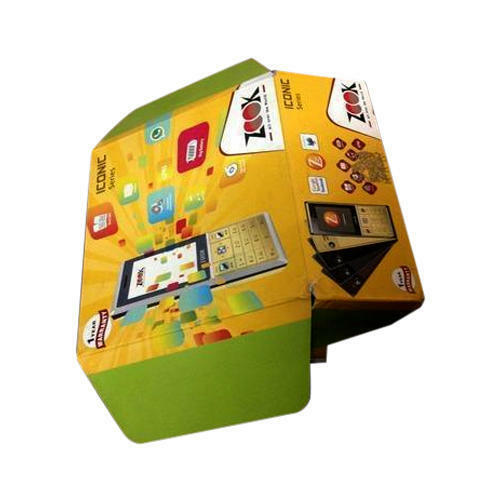 Owing to our affluent industry acquaintance, we present Printed Mobile Packaging Box. In addition, experts check these products on diverse industry parameters to ensure the sturdy nature. Established in the year 1998, Shubham Enterprises, is involved in Manufacturing, Wholesaling and Retailing a superior quality range of products including Corrugated Box, Pharmaceutical Packaging Box and much more. Based at Bawana Industrial Area, Delhi, our products are precisely designed and developed by our experienced professionals keeping in mind the needs and demands of our precious customers. In order to deliver only the best, all our products are stringently tested on various quality parameters under strict guidance of quality analysts.